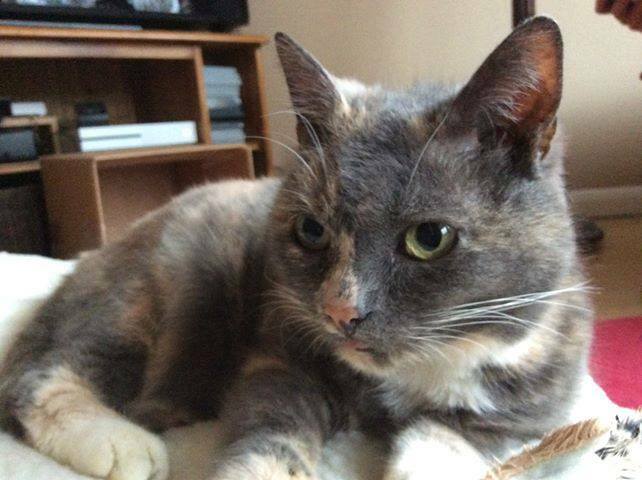 Beautiful blue tortie Poppy arrived in CP care in August 2018 as a change in family circumstances meant she couldn’t stay in her home. At 14 year old Poppy needed treatment for a skin problem as well as a dental spruce up, neither of which affected her sweet and affectionate nature. Playful as a kitten, Poppy was adopted by Bridget on New Year's Day 2019 and mid January it's clear she's well settled. "Hi, I adopted 14 year old Poppy on 01/01/2019. She is a real character and is adored by everyone in her new family. She loves a good fuss, to play lots and likes her own time too. Thank you so much for giving us the opportunity to have Poppy as part of our family." 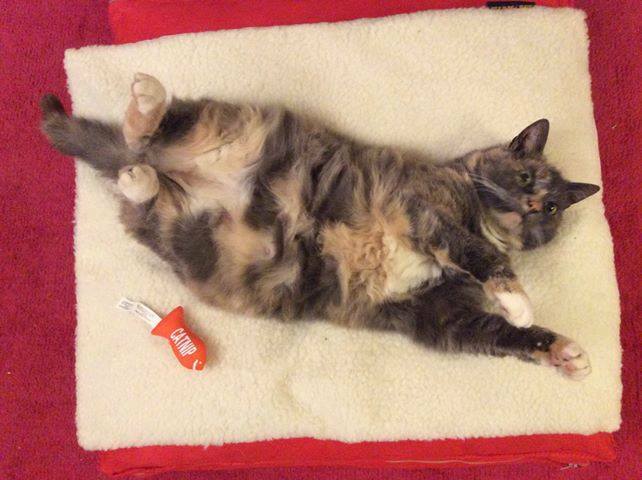 Thank you for adopting her Bridget - we're so glad to see her settled. Older cats make such lovely companions.